The AT-2plus is a low cost ECG system with performance features previously only available in high priced systems. The AT-2plus provides A4 reports within seconds - at the touch of a button. 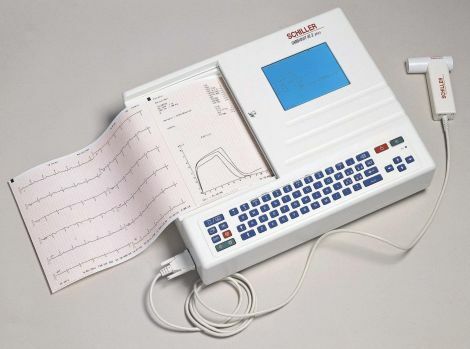 All the features of the popular AT-2, PLUS a large, high resolution backlit monitor for easy preview of ECG quality, and full alphanumeric keyboard.